We would like to offer you and your guest(s), an invitation to our first Fun Day Event. 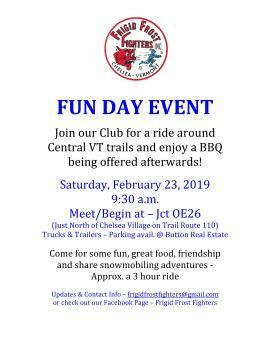 Saturday, February 23, 2019 we are planning a snowmobile ride on our trails and other Club’s, located here in Central VT. After our ride, we will end at our Club’s V.P.’s residence to enjoy a meal of hamburgers, hot dogs, and potluck dishes! 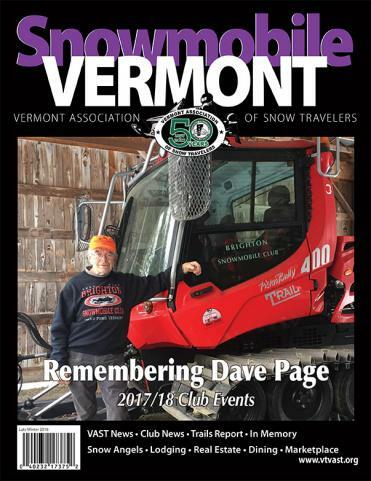 We don’t ask that your RSVP, but would appreciate knowing how many might be attending. Feel free to email us at frigidfrostfighters@gmail.com or to message us thru our Facebook page. Be on the lookout on our FB Page for any pertinent information or updates regarding our Fun Day Event!